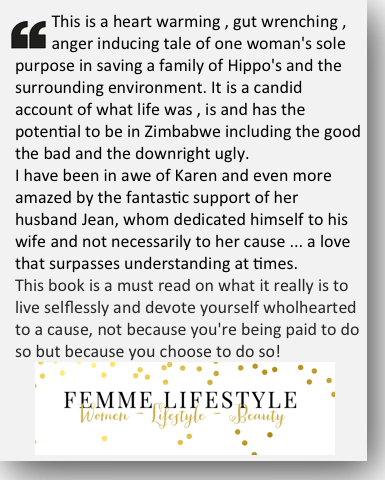 Karen Paolillo “The Hippo Lady of Zimbabwe” will be giving a presentation and a slide show in London at the Royal Geographic Society, Ondaatje Theatre on 21st November, 2017. Door open at 6.30 – 10.30 pm. Talk begins at 7.30 pm. There will be a cash bar available one hour before the talk and one hour afterwards. 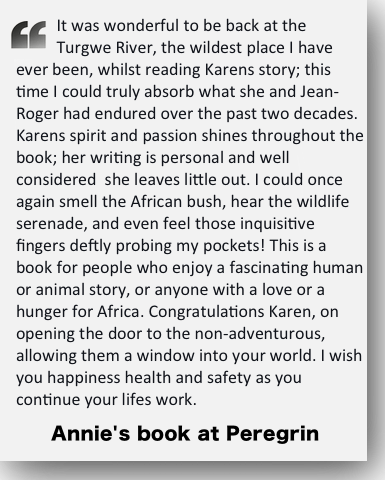 Jill Robinson, MBE, of Animals Asia will introduce Karen. There will be sculptures and art for sale by Suzie Marsh and Richard Simmonds . 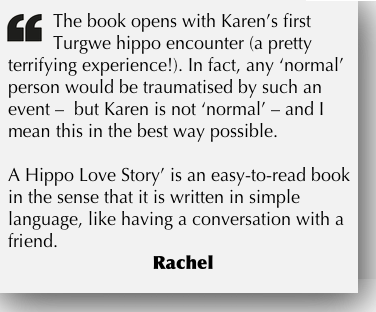 Karen’s book A HIPPO LOVE STORY which she will personally sign, as well as hippo calendars and photo cards. 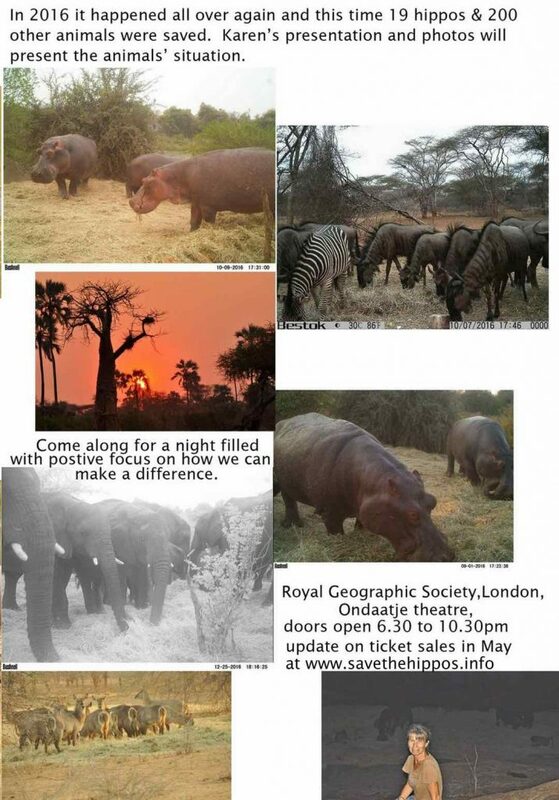 A raffle will take place at the end of the evening based on ticket number with prizes from Suzie Marsh and the Turgwe Hippo Trust. Watch this space and social media for when tickets will be on sale. 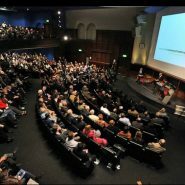 This promises to be an inspirational and interesting talk. 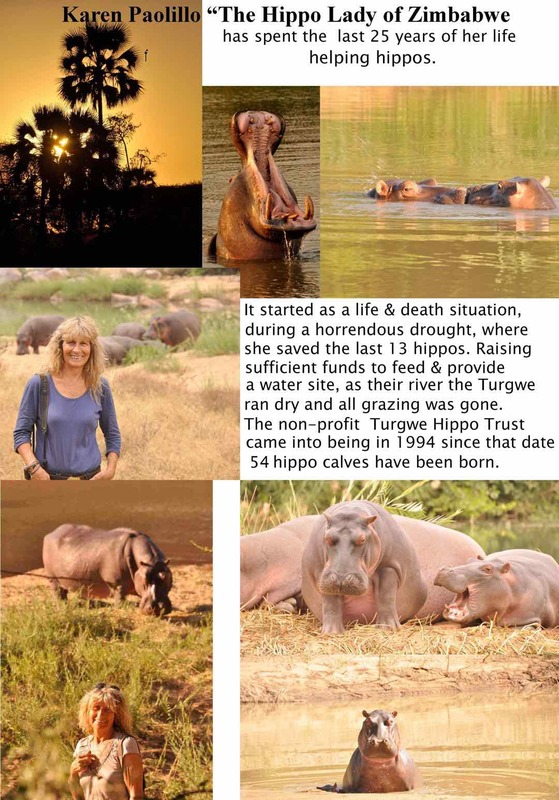 All sales as well as ticket sales will benefit the Turgwe Hippos and other wildlife in the area and help the Turgwe Hippo Trust to protect them. Tickets could be bought from our site, starting September 1st. Stay tuned. Very exciting! I shall look forward to the ticket release. I wish I could attend, but I’m afraid the travel distance is very daunting. What a terrific honor for you and the hippos!! Congratulations on all of your incredible hard work in bringing attention to your patch and all the inhabitants in it. Good luck and don’t forget to have some fun too. If I lived across the pond I definitely would attend. 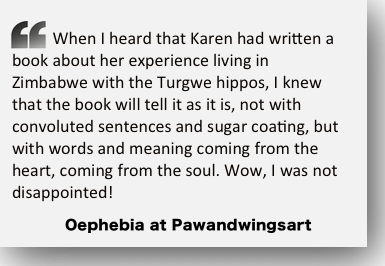 You are a legend Karen, to go down in the annals as the Hippo Expert. You are the best Hippo ethologist the world has ever known. The bond you have formed with them while ensuring their survival and well-being is unmatched! 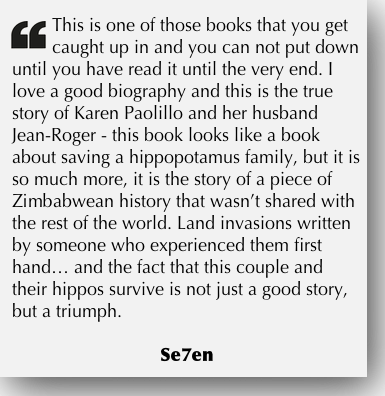 You are a legend Karen, to go down in the annals as the Hippo Expert. 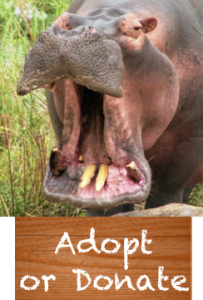 You are the best Hippo ethologist the world has ever known. 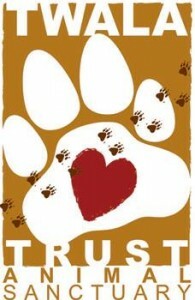 The bond you have formed with them while ensuring their survival and well-being is unmatched!Kudos to you!